If you want to extend the comfort and style of your living room through to your dining area, the Form Velvet Dining Armchair might just be the seat you've been looking for. 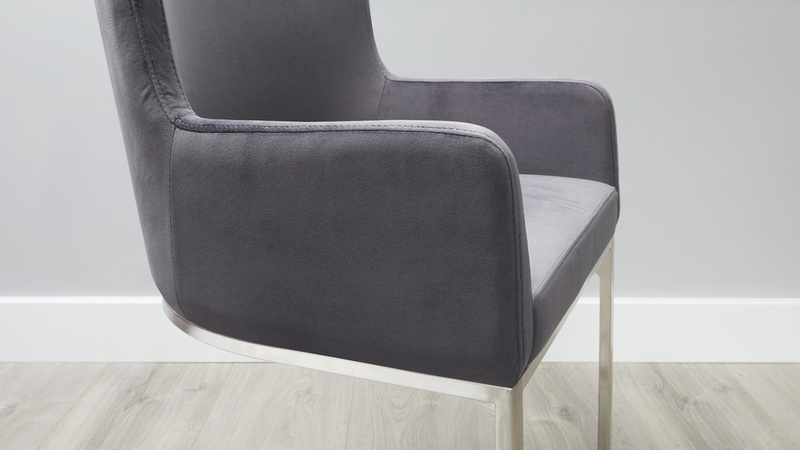 The Form armchair in velvet has such a modern, luxe look thanks to the plush velvet upholstery. 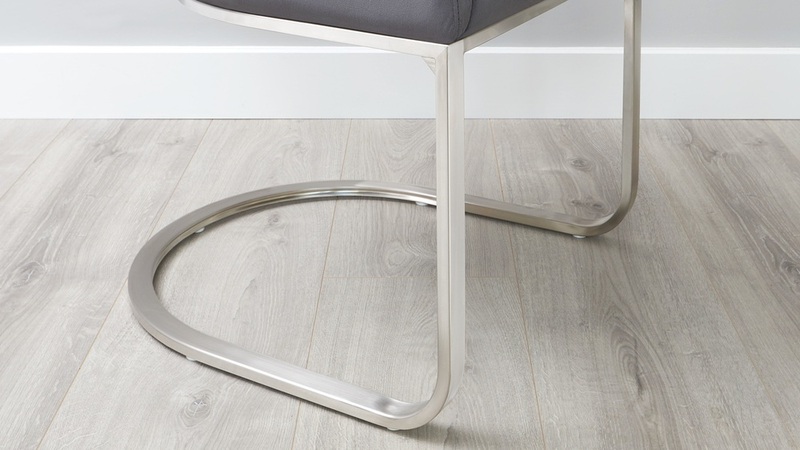 This seat has been designed to bring an extra soft touch and cosy feel each time you sit down to dinner. We went through numerous prototypes on this chair to ensure that the seat is at the optimum angle. This is so you can really sink into the chair, remaining comfortable for hours while chatting around the dinner table. 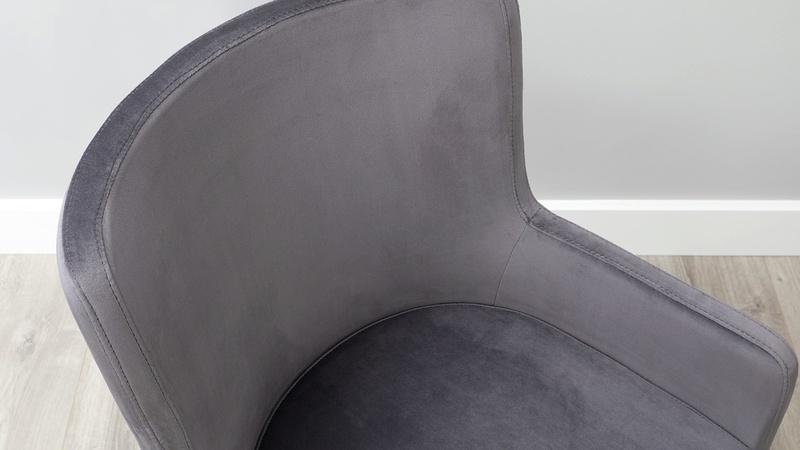 You'll feel totally supported in the Form armchair thanks to the use of denser foam in both the seat and backrest. This really delivers on comfort and recovery because it allows the seat to bounce back and not sag when vacated, retaining its smooth, defined shape for longer. The velvet upholstery is made from a 100% polyester short pile velvet. 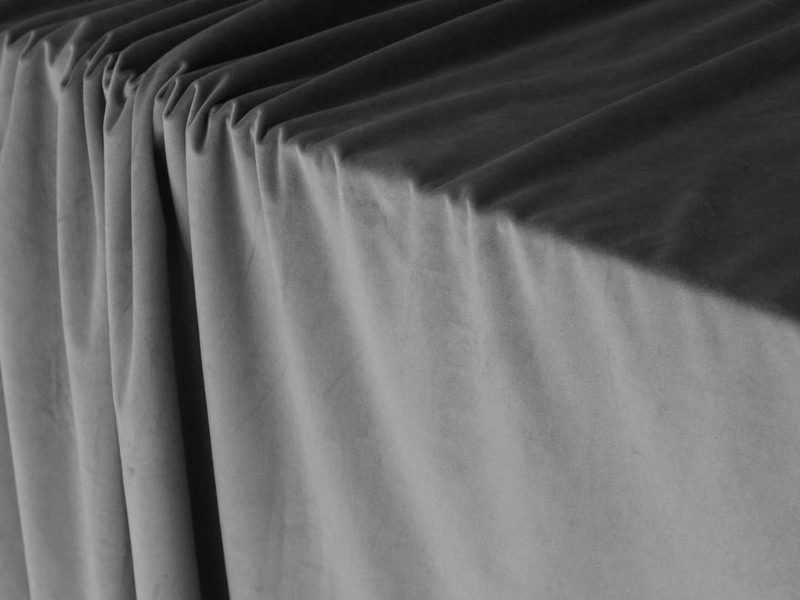 This cut of velvet has a light sheen that subtly reflects light, rather than looking shiny. Velvet is far easier than you might think to style in your space because it's not overly bright, dark, or a strong accent. Just a rich, tactile fabric. The silver-grey velvet colourway is not a pure grey but rather it has a very subtle undertone of heather. Silver grey works as a neutral mid-grey, but because of the pile and the way that the velvet picks up the light, it blends seamlessly when placed alongside other colours and finishes. 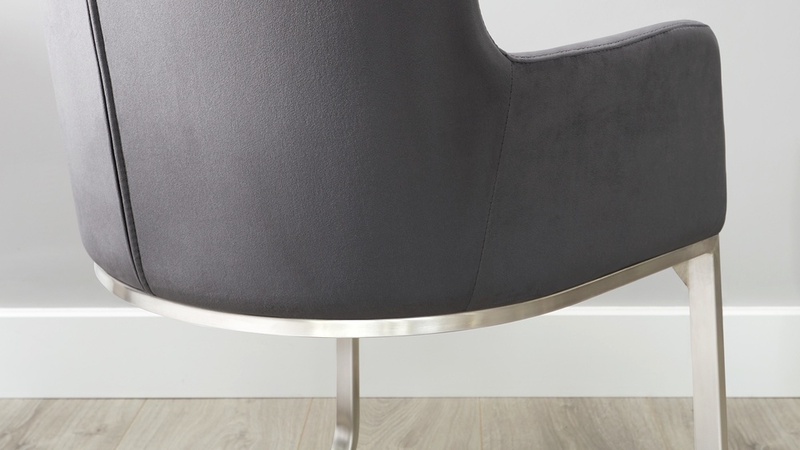 The cantilever leg frame of the Form armchair is made from a steel rod which is then reinforced with an inner solid metal thread, allowing the chairs to carry up to 120kg in weight. This keeps the chairs as light as possible so they are easy to move, while still adding that extra layer of frame support and gentle bounce when seated. The brushed stainless steel base is corrosion-resistant, scratch-resistant, and tarnish resistant. It's very easy to keep clean as fingerprints and marks are less likely to show up on the surface. If your furniture is going to be used regularly and by lots of people, stainless steel is an ideal option because of its durability. Love the look? You're in luck! 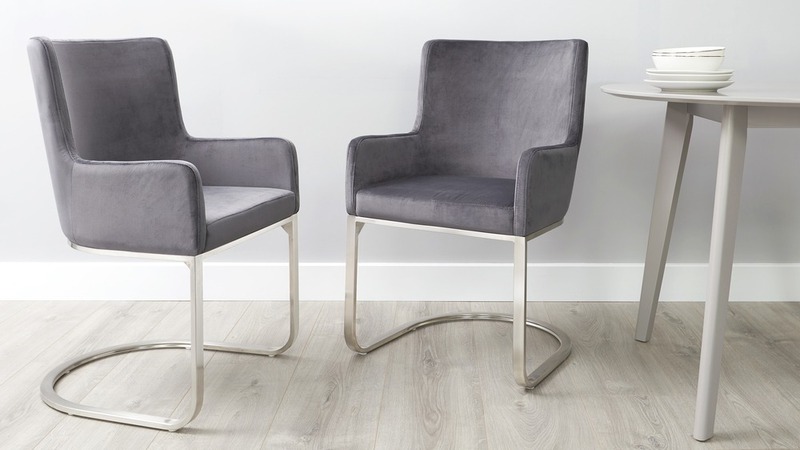 You can introduce a luxe velvet finish throughout your space with Form Velvet Cantilever Dining Chair and Mellow Velvet 3 Seater Bench with Backrest.